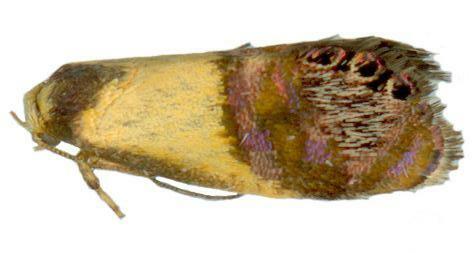 The adult moth has forewings that each have a yellow basal half, and a dark brown marginal half, separated by a band containg iridescent blue lines. The forewings each have four black spots at the tornus. 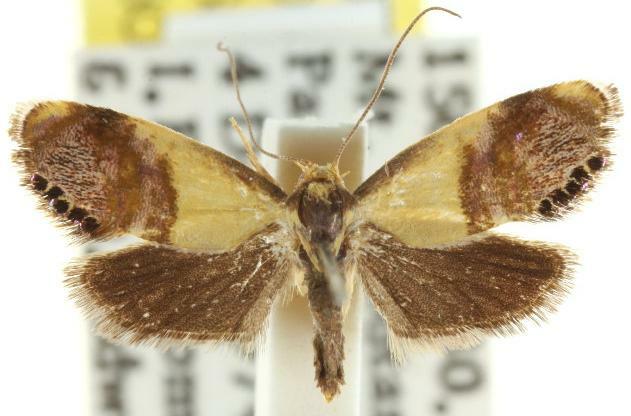 The hindwings are plain dark brown. 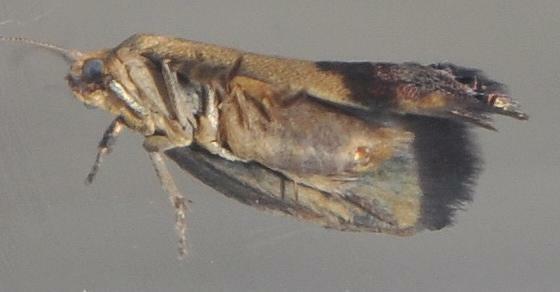 The moth has a wingspan of about 1.5 cms. Moths of Australia, Melbourne University Press, 1990, fig. 24.3, p. 236. Volume 72 (1947), p. 149, No. 2196.